An Apple event wouldn’t be an Apple event without its CEO first trotting out some product-related stats. At the Californian Theatre in San Francisco on Tuesday morning, prior to the unveiling of the iPad Mini, as well as news of updates to other Apple products, Tim Cook took to the stage to let everyone know what everyone already knew – that things are going pretty well for the Cupertino-based tech titan. Cook kicked off proceedings by confirming that, indeed, the iPhone 5 is the fastest-selling iPhone among its six iterations in its five-year history, selling 5 million units in its first weekend of sales in September. Last month also saw the introduction of a new iPod Touch and Nano, selling alongside the Shuffle and Classic models. Cook said the company has sold 3 million iPods since its last special event on September 12. Apple’s iCloud service, which allows users to store their music and other content on the company’s servers and access it from any of their Apple machines or devices, appears to be garnering interest, with 125 million documents now stored remotely using the service. 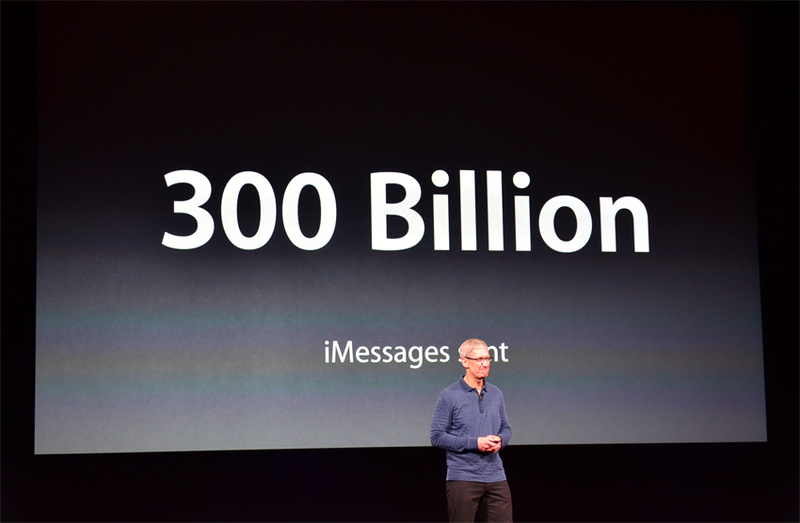 Cook said 300 billion messages have been sent using iMessage, or 28,000 per second. 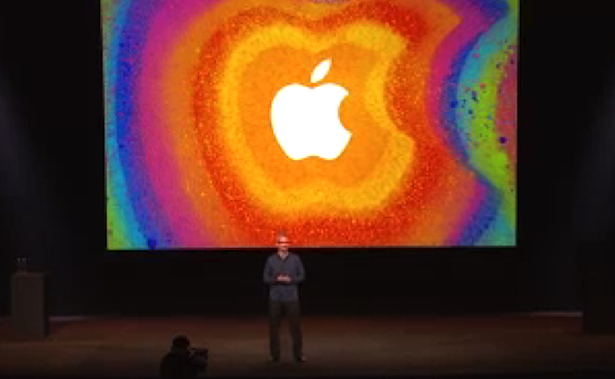 “Maybe even more now,” the Apple boss quipped just prior to the unveiling of the iPad Mini. Game Center, which makes it easy for gamers to share scores and compete against each other, has seen the creation of 160 million accounts, while 70 million images have been shared using the new shared photo streams feature launched with iOS just a month ago. 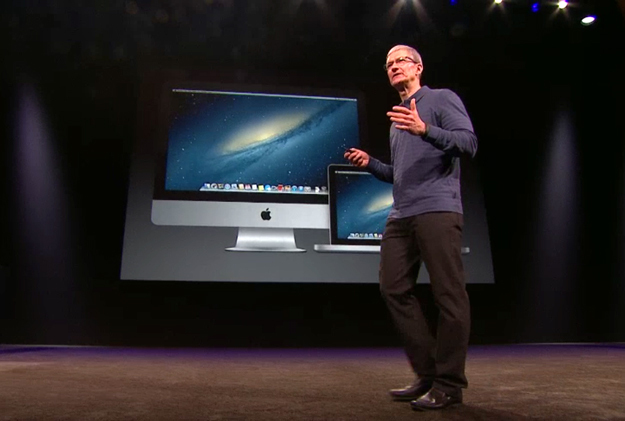 Turning to the app store, Cook said there are now 700,000 apps on sale in the store, including 275,000 for the iPad. “These [iPad apps] are not stretched out smartphone apps,” Cook was keen to point out, adding, “These are apps that have been custom designed to take advantage of iPad’s big beautiful canvas.” The app store has now seen 35 billion downloads since it opened for business back in 2008, with a total of $6.5 billion paid to developers in that time. As for iBooks, Cook said over 1.5 million books are now available through its online store, with downloads exceeding the 400 million mark. Leading up to the launch of the smaller iPad, the Apple boss said that two weeks ago the company sold its 100 millionth iPad – not bad going for a product that’s been on the market less than three years. According to Apple, iPad currently accounts for 91 percent of web traffic share involving tablets, while 94 percent of companies in the Fortune 500 are now testing or deploying the iPad. It’s going to be interesting to see what stats the company pulls up about the iPad Mini at its next special event. Are more superlatives on the way?